This past Monday marked the 50th week since I began my "gap year." After numerous discarded drafts, I reckon now is a pretty good time to actually sit down and email an update. It was tougher than I thought it'd be when I packed my bags, said my goodbyes, and boarded the plane nearly a year ago. I'd be lying if I said that singing Home by Phillip Phillips while in the shower isn't a guilty pleasure. ​Throughout the first 8 weeks, not a day went by where I didn't contemplate shutting the doors and hopping on a plane back to the good ole US of A. Sundays seemed to be especially difficult. Those were the days where I wasn't working and most of my mates went to family lunches and dinners, so finally I started accepting invites to tag along. What a great decision. It's amazing to see how other families interact with each other, from the loving to the joking to the fighting. The free food isn't too shabby either. And as time progressed, with any major move, I met some incredible people, and those people turned into incredible friends. And those friends traveled with me to incredible places; taught me things; challenged my thoughts; shared food, laughs, and tears; engaged in unbelievable conversations, some good, some bad; and honestly did just about everything in between. Backpacking and being a new-age nomad is all good and well, but actually living in Sydney allowed me to experience a city and build relationships unlike any other travel experience I've had before. If you fall in that bucket, thank you so much for the past year. You guys are awesome. That being said, realizing that I only had 3 months left on my visa hit me like a bag of bricks. Australia kicks Americans out after 12 months, unless you apply for residency. "Suddenly" I was deciding between either "permanently" relocating literally around the world or re-packing my bags and heading off to the next location. But those first 2 months...is that something I want to do all over again? I do love traveling, but there's that little guy in the back of my head saying "Dude, you should probably consider settling down and trying to find a significant other one of these days." So as you might have guessed, I opted to re-pack, but only 1 small bag this time. I'm down to 3 tops, 3 bottoms, 1 pair of shoes, 1 jacket, 1 hat and sunnies, 1 camera and 1 laptop. It's amazing how much stuff you think you need but will never touch. So...Mom don't freak, but I met this guy online who needed some help with his online presence for his garden in the middle of nowhere Thailand (why, I have no idea). I mean we are talking rural. Nonetheless, I emailed him and told him if he taught me how to cook Thai food, I'd teach him about computers and what not. He agreed. ​On Thursday, I fly to Perth, which I'll visit for about 10 hours, then fly to Bangkok by way of Singapore. What to do in Bangkok, no idea, but I know it'll be a hell of a lot warmer and probably a little more wet, too. After what I'm thinking won't be more than a week, Thailand's trusty trains will carry me north to the bustling town of ​​Chiang Mai. 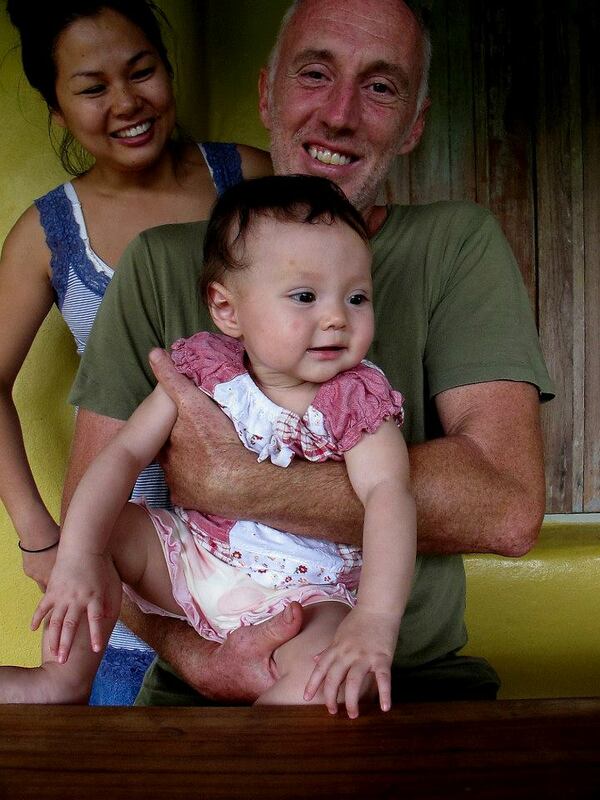 Once there, my new Dutch friend Marco, his Thai wife, and their child will pick me up and take me to my new home. Rice season, or whatever you call it, starts in about 3 weeks, so I'm going to help plant and harvest the crop all the while giving some tech tutorials. Maybe I'll get one of those cool hats. I've got some officially unofficial plans for after my brief stint in Chiang Mai, but I'll hold those off for a later update. ​​I love you guys, and I miss you heaps.